This gallery is thematic and includes photographs that have deep, dark black elements. Sometimes, these black spots are the point of the photograph (silhouettes) and sometimes, they are the background that form the contrast for the image. However, in all cases, without the black points for contrast, I don't think the photos would work the same way. 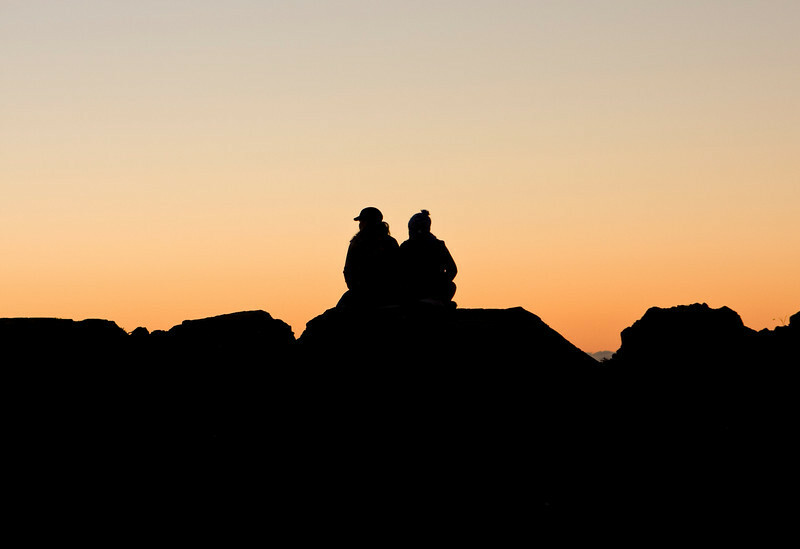 A couple, sitting on a pile of rocks at the beach, are watching a colorful sunset.